Are you familiar with "CLAYGO?" 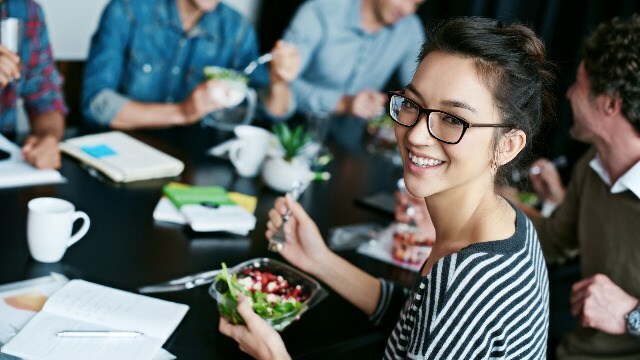 (SPOT.ph) One would think that grown ups would know proper office pantry etiquette...but you’ll be surprised at how many aren't. Nothing riles you up more than people who hog lunch tables and bring in smelly food. Who knew people who don’t seem to have proper manners exist, right? Below, we list five office pantry rules to live by, so you can live a peaceful and harmonious office life. Simple: Clean as you go! It’s proper etiquette to clean up after yourself after eating because others won’t be happy doing that for you. We’re pretty sure you hate it when it’s your turn to use the microwave and there’s all kinds of food splatters everywhere. Ew. Not only is it disgusting to look at, it invites creepy crawlies, too! Make sure to wipe it clean for your sake and everyone else’s. The space in the pantry is pretty sacred; and there are a bunch of people waiting for seats to beome available so that they can have their meals, too. So, when you're done, don't linger. Besides, don’t you hate it when you’re waiting for an empty seat and see a group of people with empty plates who just sit there like they don’t see you? FYI: It’s not your personal ref! There are other people in the office who need to keep their food and drinks cool, too. Make sure to bring home any leftovers and don’t let your baon rot in the fridge forever. It’s irresponsible, annoying, and extremely unhygienic! Just because someone put their food in the fridge doesn’t mean they’ll forget about it forever. How would you feel if you put a pint of your favorite cookie dough ice cream in the freezer only to find out that someone has eaten half of it already? You’re seeing red, we know. So don’t do it. Don’t like bringing your own baon to the office? We feel ya. Other people might end up eating your hard work, right? (Yes, prepping baon for lunch takes a lot of hard work). 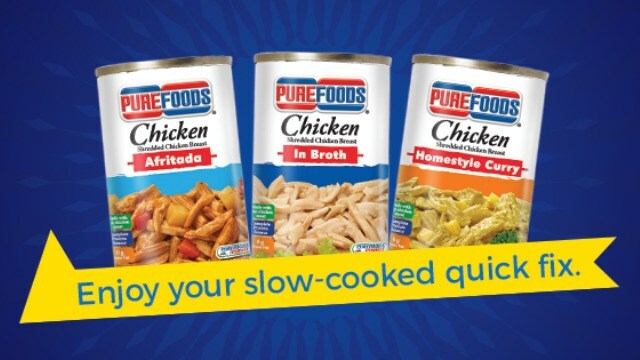 Well, since Purefoods Chicken makes meal prep easy-peasy, people on-the-go like you can enjoy delicious, slow-cooked chicken in rich flavorful sauce anytime. Oh, and an additional office pantry rule: Make sure to label your food because someone will surely want to steal your tasty Purefoods Chicken meal!